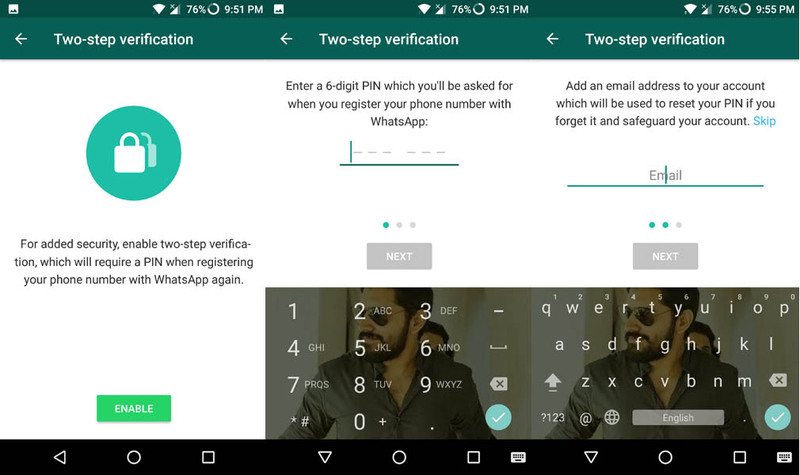 A few weeks back WhatsApp has unveiled two-step verification for all users to improve account security for Android, iOS, and Windows. This feature in Whatsapp is meant to prevent someone from setting up the app with your phone number. In the event you lose your SIM, the passcode will stop them from setting up Whatsapp using your number. 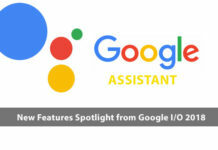 The feature adds an additional layer of protection by requiring a passcode when resetting and verifying your account. Step 1: – Open the WhatsApp and then navigate Settings. 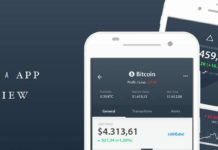 Step 2: – Then tap on Account > Two-Step Verification. Step 3: – Now tap on enable, which will display the setup screen. Step 4: – This screen will ask you to pick a six-digit code. Then you need to enter the six-digit code anytime you register your phone number with the app, including upgrading. Step 5: – After setup the passcode, WhatsApp will also let you pick a backup email address in case you forgot your code. 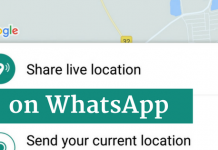 WhatsApp will be able to send a recovery email to this chosen address. Adding email address is optional, you skip it if you don’t require backup. 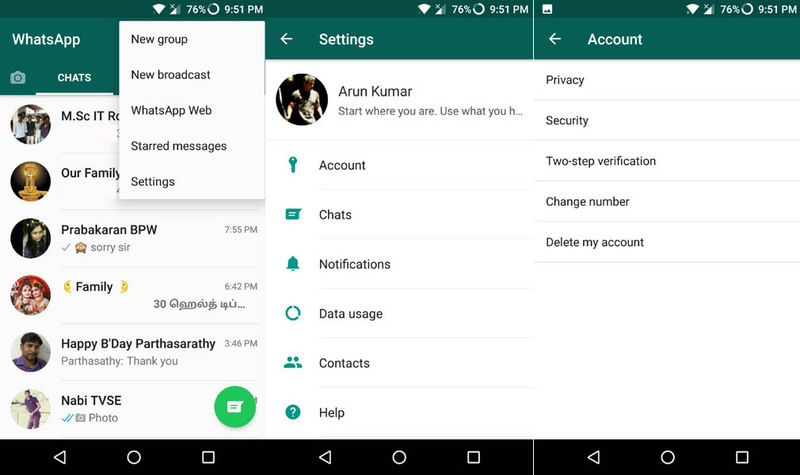 Now, when you install WhatsApp on a new device and, it will ask for this six-digit passcode to identify you. 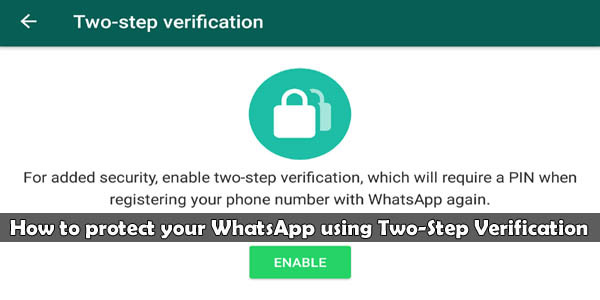 As an additional safeguard, a phone number can’t be re-verified in WhatsApp within seven days of last using the app without the appropriate passcode. If you don’t choose a recovery email, it’ll be impossible to verify your account without your code within seven days. After the seven days period passcode isn’t required, but all the pending messages will be deleted. If a number is re-verified without a passcode after 30 days, WhatsApp will simply delete the account, and create a new one.